This event is open to the public and is free of charge. Donations are greatly appreciated and will fund cetacean research and education programs. Domoic acid is a biotoxin produced by harmful marine algae. It can cause acute seizures and long-term brain damage in a variety of marine mammals and humans. Hundreds of California sea lions showing signs from domoic acid toxicity are rescued each year by The Marine Mammal Center for treatment. In the near shore environment, sea otters feed on a variety of prey types such as crabs that can be accumulate high levels of the deadly toxin. The Center recently rescued and rehabilitated two adult sea otters exhibiting neurological signs attributed to domoic acid intoxication. These are the first otters known to be diagnosed and treated for this disease. This talk will detail the otter’s rescue, rehabilitation, and new post-release monitoring technology which will allow us to better understand the long-term effects of domoic acid on individual sea otters and the population. 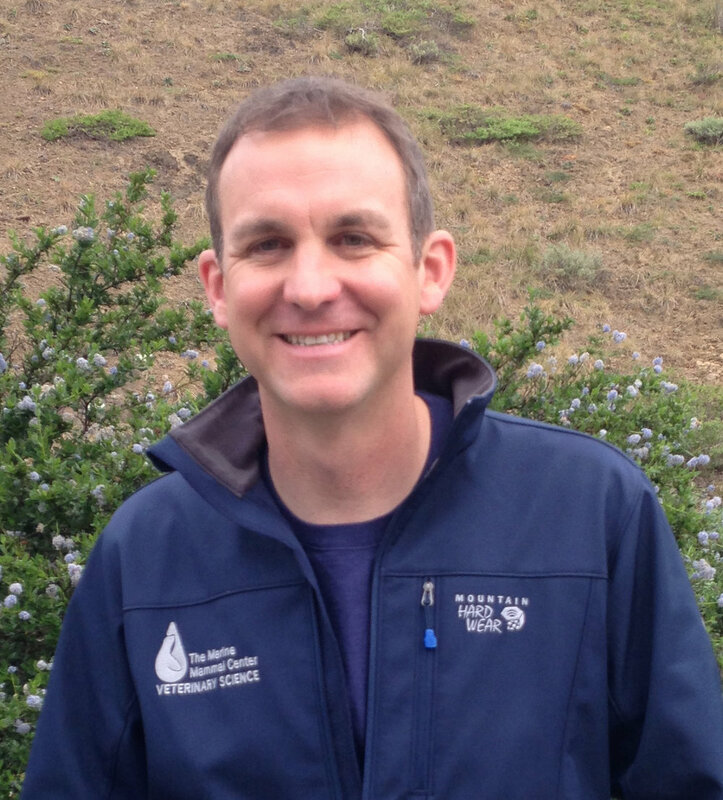 Dr. Shawn Johnson joined The Marine Mammal Center in 2012. His role as Director of Veterinary Science is to guide the science team’s study of marine mammal health issues around cancer in sea lions, toxic algae poisoning effects, and harbor seal health analysis, among others. Dr. Johnson is no stranger to the Center having completed the student extern program and later, becoming an adjunct veterinarian. He has also worked with the Alaska Sealife Center, Alaska’s fish and wildlife services, the National Marine Mammal Laboratory, the Oiled Wildlife Care Network and the Wildlife Health Center at UC Davis. He most recently worked as a clinical veterinarian with the U.S. Navy Marine Mammal Program. Dr. Johnson is a graduate of Iowa State University where he received his degree in veterinary medicine, UC Davis where he received a Masters in Preventive Veterinary Medicine, and also UC Davis where he most recently completed a fellowship in anesthesia. Ted Cheeseman, "Sharing the Science: How 2000 Whale Watchers are Doing What Researchers Can’t (Afford to) Do"